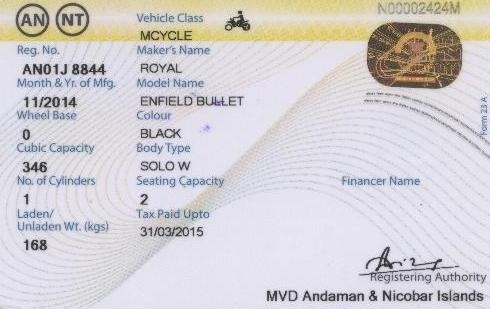 The Registering Authority under Directorate of Transport introduced the smartcard system for registration certificate of vehicles from 15-sep-2014 onwards. The RC will have a pan Indian design which will have a same look and feel across the country. It has several security features such as certain colour patterns, specific design, State specific logo, hologram, microprocessor etc. to make sure that this card cannot be replicated. 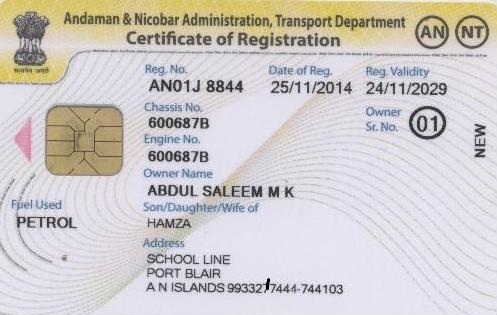 Enforcement agencies in other States can check the authenticity of these smart card RC on the spot using readers.